The merits of frequent aircon servicing couldn’t be more obvious. If you live in areas where most of the year is warm weather, your air conditioner will probably be working all year round. By default, you will need regular inspection and servicing to keep the system working optimally. Even if you experience heat only during summer, your system still needs to work efficiently. Scheduled servicing can save you a lot of time and time that would otherwise be spent paying for expensive breakdowns and energy bills. Below is a brief look at 4 main ways regular aircon servicing affects your savings. Air conditioning systems are made of mechanical and electrical parts that may get damaged if not properly maintained. Regular servicing does not only keep your system performing optimally, but also prevents frequent breakdowns that may happen as a result of clogging and failing elements. Essentially, servicing extends the life of your system. A well serviced aircon cal last up to several years without need for replacement. 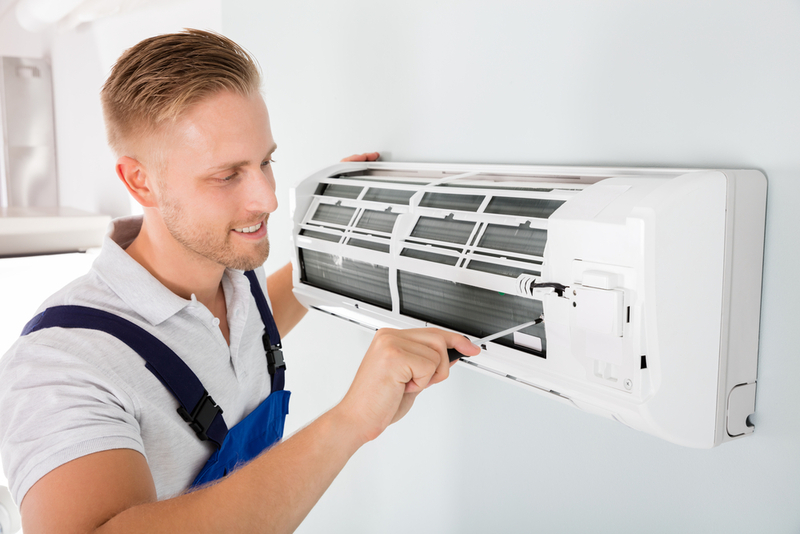 Considering how expensive new aircon systems are, you are better off performing routine servicing which are usually very cost-effective once you have a good plan with your supplier. As aforementioned, servicing your system will promote optimum performance. Conversely, subserviced air conditioners perform poorly and use up more electricity to provide the same amount of cooling. You can get a projection on how much you will save by performing regular servicing. If you reside in Singapore, aircon services in Singapore can provide you with estimated energy consumption, projected savings and a free quote for their services. Proper servicing will leave your system working seamlessly and effortlessly thus using up less energy. You will be surprised how quickly the annual energy bill hikes when your aircon remains unchecked for too long. One of the major concerns about air conditioning systems is their safety and health implications. The air you breathe passes through these systems so it is only natural to be concerned. Regular servicing does not only inspect for faults or prospect breakdowns. It also cleans the air passages and eliminates accumulated dust and debris. This ensures you get clean air into your home or office. A dirty sub-serviced aircon will expose your family to air-bone germs and illnesses and your medical/drug bills can quickly go up. Servicing therefore keeps your family safe and healthy by providing a steady supply of clean air. Servicing often includes cleaning, regular maintenance, troubleshooting and inspecting for potential breakdowns. Regular servicing can help you identify weaknesses and prospect breakdown early enough. This allows you to make the necessary replacements or adjustments. It basically allows you to prevent major breakdowns or plan early enough so it does not catch you by shock. Major breakdowns can demand expensive repairs especially when suppliers realize you are desperate to get the system back and running. Even if it is inevitable, you can plan and avoid taking loans, which usually come with interest and other associated fees. Most mechanical systems need routine maintenance to keep working efficiently. Air conditioners are no different. When properly maintained, they will continue to supply clean air all year round without any issues. Servicing is only one part of maintenance, but also the most important. Combined with other best practices, aircon servicing can help you save a lot of time and money on things such as repair, hospital visits and new purchases as mentioned above. Nonetheless, you still need to work with reputable licensed aircon repair companies in Singapore. Instead of using cheap services, hire professionals who are experienced and knowledgeable in the field.